What a sweet little girl Autumn is! 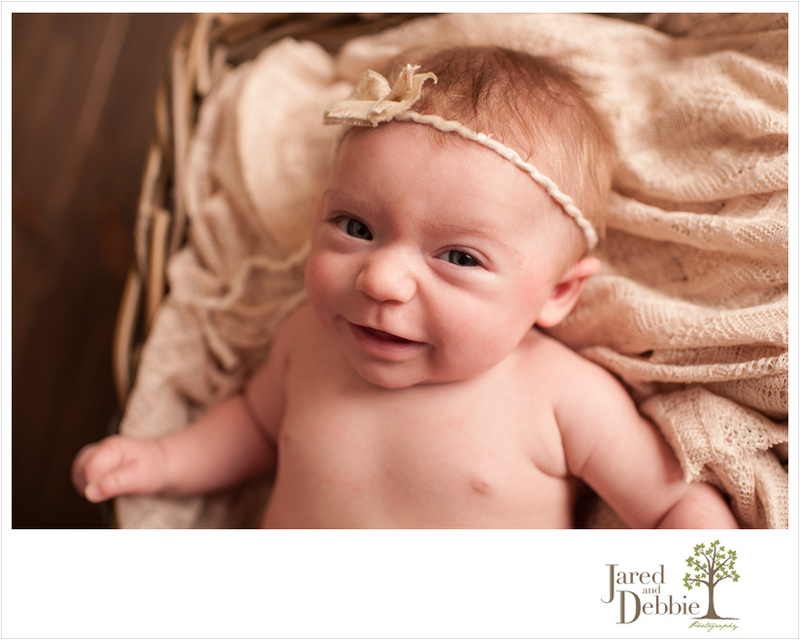 She was such a good baby for me and while she kept most of her smiles from the camera, I was quick enough to catch a few! While I don’t photograph many 3 months old because it’s a tough age since they aren’t strong enough for a variety of poses, mom and dad wanted to capture her before she got any bigger. I so wish I could have met her right after she was born as she was teeny-tiny at a little over 4lbs and just 18 inches long. Here’s just a peek at spunky little Autumn, 3 months old. Stay tuned for more images from Autumn’s session! Lucas was an absolute dream for me! 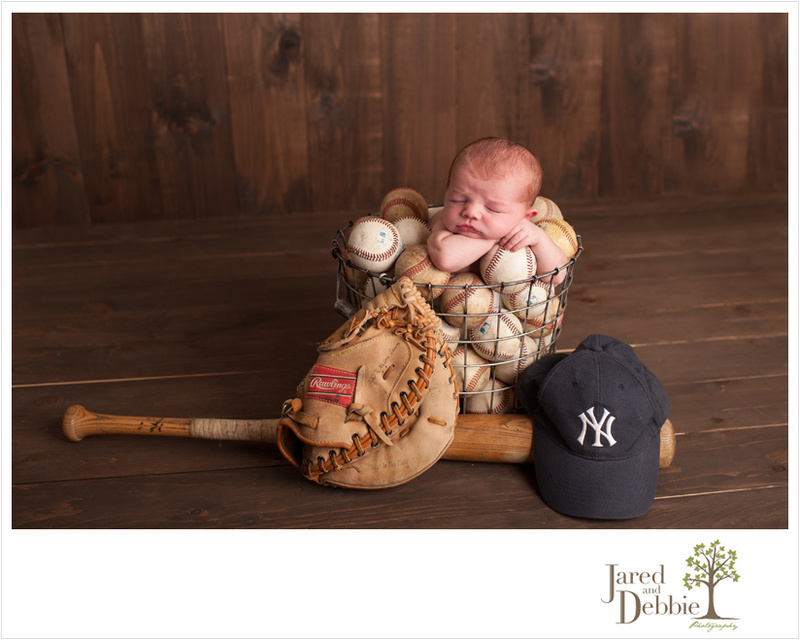 He has the most amazing Yankees mural in his nursery that was made by his talented grandma so we in turn did a Yankees inspired newborn session! Lucky for me, I just so happened to notice a crate full of baseballs in my brother’s trunk over the weekend. With those, a few Yankees hats, wooden bats and a catchers glove, I had the perfect props at my fingertips. While I love looking elsewhere for inspiration when it comes to prop shots, I simply used my own mind for this one! I mean, if we can’t trust ourselves as artists, how can our clients?! Meet Baby Lucas, the ultimate Yankees’ fan, 16 days new. DISCLAIMER: Before everyone goes out and puts a brand new baby in a bucket of baseballs, please know that there was a towel under Lucas to provide a soft and comfortable spot for his body. The baseballs that are most visible were placed there after he was soundly asleep. Mom was barely out of the frame and we were both ready to soothe Lucas in the blink of an eye. Do not try this at home!!! Between those squishy cheeks and pouty lips, I couldn’t get enough of this handsome little guy! Elias was my first newborn of 2014 and came to the studio at 7 days new. 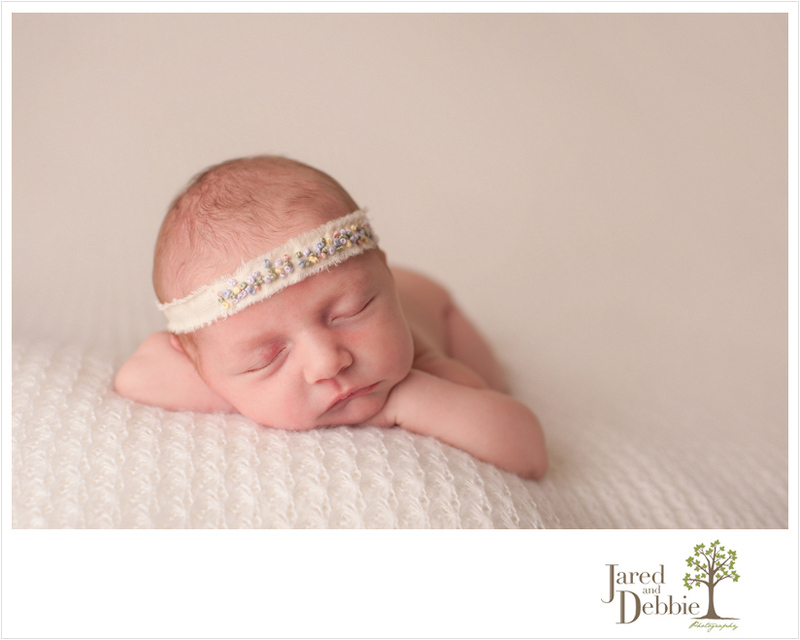 Here are a few favorites from his newborn session! Oh, sweet Mr. Axton. I can’t say little because he was a big boy! Axton stole my heart the second his mom handed him over to me and he gazed up at me with his big eyes and flashed me a HUGE smile, complete with dimple and all. I’m really not sure how mom and dad are ever going to say no to this handsome guy! Here’s just a peek at Baby Axton, 17 days new. Stay tuned for more images from Axton’s newborn session!